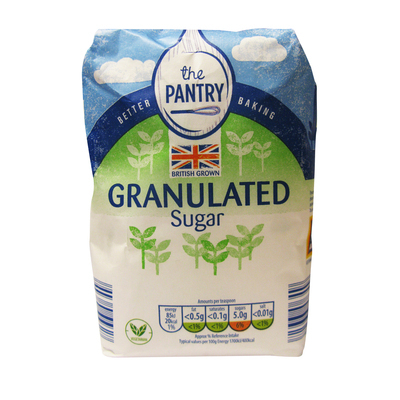 An essential for that steaming brew in the morning, our Granulated Sugar comes in an economical 1kg packet. Suitable for use in baking, general cooking and all manner of other activites, the finely granulated sugar is Fairtrade Marked for peace of mind. Provided in a tightly packed paper outer wrapped, the sugar can be easily accesses and decanted into your sugar tub for tidy and convenient storage. This granulate sugar is an ideal replenishment choice for all environments from nurseries through to care homes. Here at Gompels, we also stock a number of essential kitchen top ups including Nescafe Gold Blend, Semi Skimmed Long Life Milk and Tetley Tea Bags - and all for exceptional wholesale prices.